Matthew Gibbons is a U.S. Marine Corps veteran from Glastonbury, Conn. He enlisted in the military at age 18, right after graduating from high school. Mr. Gibbons served in the infantry for two combat deployments to Afghanistan, and was awarded a Purple Heart for serious injuries he sustained during combat. Mr. Gibbons has enrolled in Rutgers University to begin classes in the fall. However, the 2002 Mitsubishi Montero he recently purchased to take him to New Jersey, was not in proper working condition. He was nominated to participate in AAMCO’s program by the MOPH Department of Connecticut commander. Mr. Gibbons picked up his newly repaired car today from the AAMCO of East Harford service center, at 133 Pitkin Street, where the repairs were provided free of charge. After Mr. Gibbons dropped off his vehicle, AAMCO technicians conducted a thorough diagnostic inspection to determine all repairs needed. Ultimately, they rebuilt the transmission, fixed leaky valves and provided additional services to ensure his vehicle will continue to serve him for years to come. In celebration of its 50th anniversary, AAMCO partnered with the MOPH to give back to America’s veterans in communities across the country. 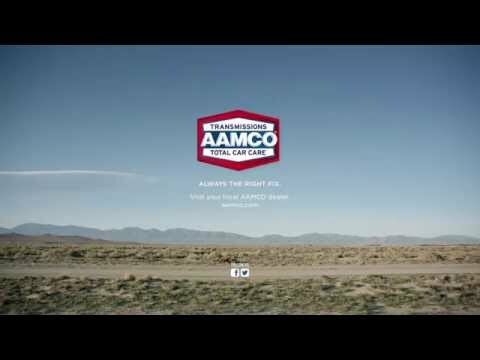 Through the 50 Cars in 50 States program, AAMCO is repairing the cars of 50 combat veterans, with the goal to repair one in each state to commemorate 50 years of total car care service.